Some of the popular Waterfalls in India are Jog Falls, Dhuadhar Falls, Dudhsagar Falls, Kunchikal Falls, Chitrakote Falls, Khandadhar Falls, Barkana Falls, Suruli Falls, Keoti Falls & Unchalli Falls. Dudhsagar Falls is a beautiful waterfall located on the Mandovi River. Dudhsagar falls is located in the State of Goa. The exact location is 60 km from Panaji (The capital of Goa) by road. For people who want to travel by train they can catch a train on the Madgaon-Belgaum rail route. 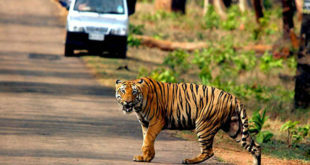 It is located at about 46 km east of Madgaon and 80 km south of Belgaum. Dudhsagar Falls is undoubtedly amongst India’s highest waterfalls with a height of 310 m and an average width of 30 metres. 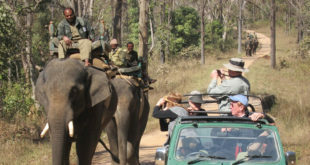 Extra caution needs to be taken while planning a trip to the Dudhsagar falls. 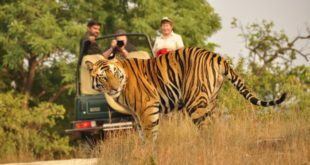 You can also find any Adventure Organizations which organizes a trek to the Falls from Castle Rock with all basic amenities to make your trip a bit pleasant. Usually these Organizations arrange for a night stay at the falls. A scene from the Bollywood Blockbuster Chennai Express starring Shahrukh Khan & Deepika Padukone was also shot at the Dudhsagar Falls. 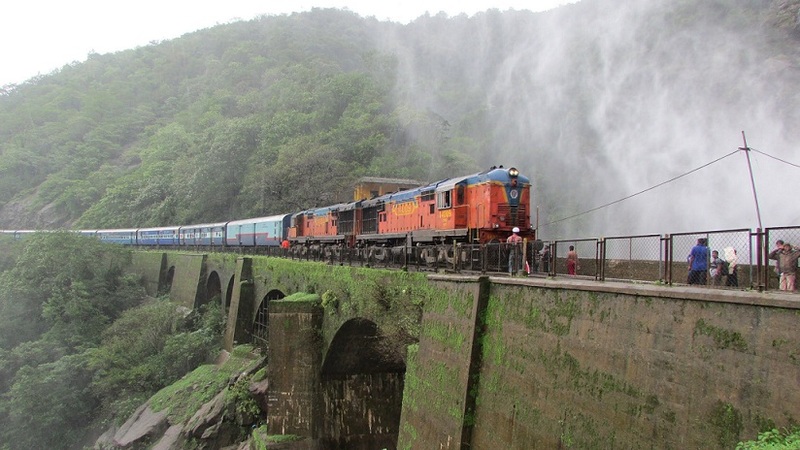 You can reach the Dudhsagar falls by the nearest rail head which is Castle Rock. You will be able to get a Train from Castle Rock to Dudhsagar Stop. If you are expecting a Platform at Dudhsagar Stop, forget about it! It is actually an unscheduled stoppage of just 1 or 2 minutes where the tourists get down the steep ladders of the Rail Coach. 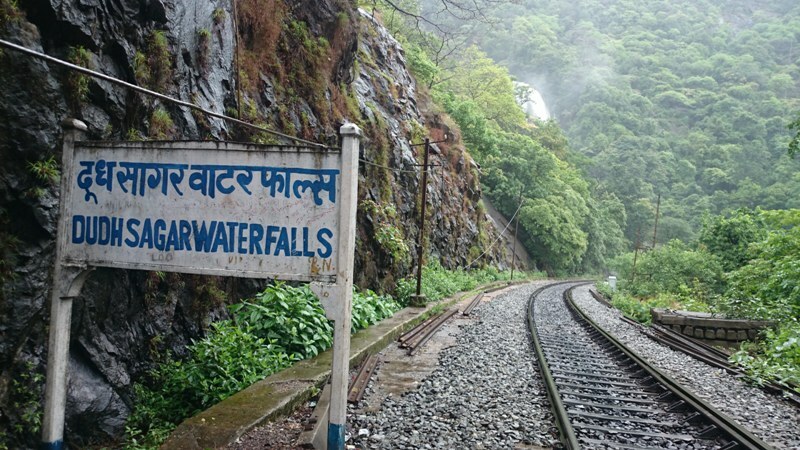 You need to walk for about 1 km on the tracks to finally reach the magnificent Dudhsagar falls. 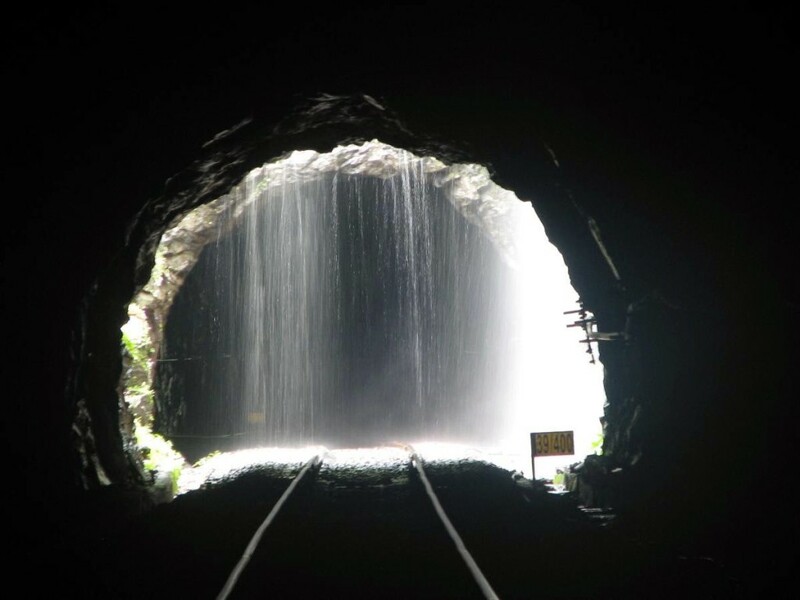 There is a 200 m tunnel on the way to Dudhsagar Falls which makes this journey a little tough. This tunnel is totally dark so you have to be extra cautious. Recently, Indian Railways has banned people from getting down or climbing up the train on Dudhsagar Stop. 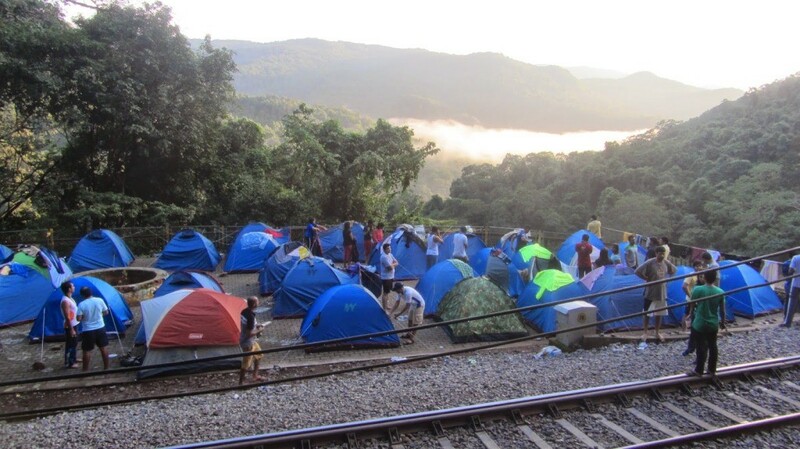 You would neither get fresh drinking water or neat and clean hotel or rest rooms anywhere near Dudhsagar Railway. No access to electricity or Mobile Signals at the Falls. No access to road or any other means of Transport. Hope you liked to Read our article on Dudhsagar Falls. You can share your experience or may leave your feedback in the comments below. Nice to be here on your blog. Landing here for the first time i guess. Interesting places you are showing me. These scenes are really awesome indeed. I would also like to get out of my house and see how pleasing are the places in my India. (our INDIA). Thanks for writing this blog. I can read till I start travelling.